Up to $5M is available from International Wine Tourism Competitive Grants to support stakeholders to implement initiatives which will grow tourists visiting Australia for the international wine tourism. international wine tourists in a particular region. The Australian Government’s Tourism 2020 strategy is focused on building the resilience and competitiveness of Australia’s tourism industry and growing its contribution to the Australian economy. Australia’s exceptional food and wine tourism are important planks in this strategy. The Export and Regional Wine Support Package (the Package) has been designed to complement and contribute to the objectives of Tourism 2020. 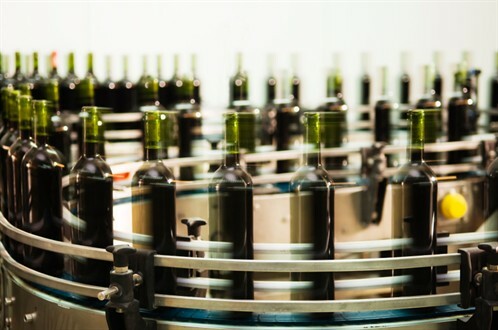 The Package is a $50 million commitment, focused on building Australia’s international wine exports in such a way that will benefit wine producers and assist export-focused businesses to grow. It is also designed to improve the wine tourism experiences and opportunities on offer and build international wine tourism. There are two grant components within the Package designed to support the growth of international wine tourism in Australia: International Wine Tourism State Grants (State Grants) and International Wine Tourism Competitive Grants (Competitive Grants). The State Grants and the Competitive Grants are designed to be mutually reinforcing. Under the Package, $5 million dollars (GST exclusive) will be made available for this program. The grant project must deliver against one or more of the eligible activities; not include any ineligible activities or expenditure; and adhere to the restrictions on funding for events and marketing. Wine marketing campaigns targeted at attracting international tourists to a particular region. Innovative products or services which enable or complement international wine tourism and benefit multiple businesses in a particular region. Focus on growing international wine tourism by attracting and/or growing the spend of international tourists. A state or national industry association representing the interests of winemakers or winegrape growers, incorporated or registered under relevant state or federal legislation. An incorporated regional or local tourism or wine organisation, including body corporates established under a legislative instrument of a State or Territory provided those body corporates are not State government or Territory government. A state or territory government. Agree to commit a minimum cash co-contribution at the rate of $1 for every $1 of grant funding. A state or national industry association representing the interests of winemakers and/or winegrape growers, incorporated or registered under relevant state or federal legislation.